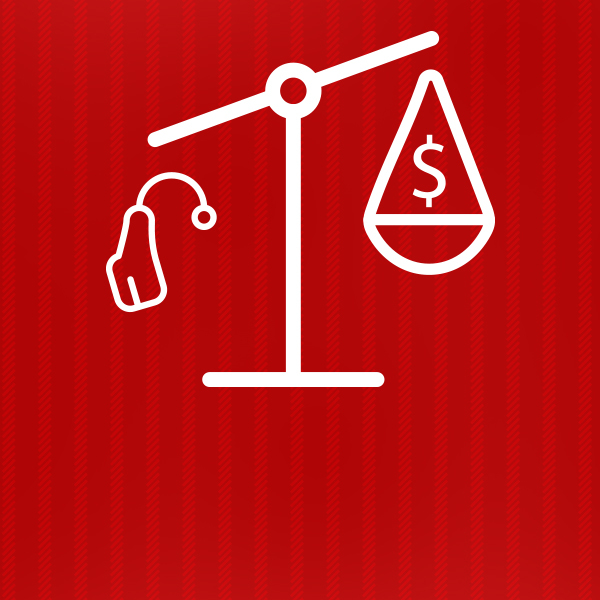 Hearing aid finance now available - interest free! Visit EarDeals now for more info! Home > Blog > Hansaton Sound SHD S13 Stream – New Bluetooth! The Germany based hearing aid company, Hansaton has designed and released one of the worlds most beautifully crafted receiver in the ear canal (RIC) hearing aid devices available. With the convenience of a push button on the back of the hearing aid to answer and reject Bluetooth streamed calls without the need to touch your mobile phone, this hearing aid is a great contender for anyone seeking cutting-edge Bluetooth technology in the hearing aid market. 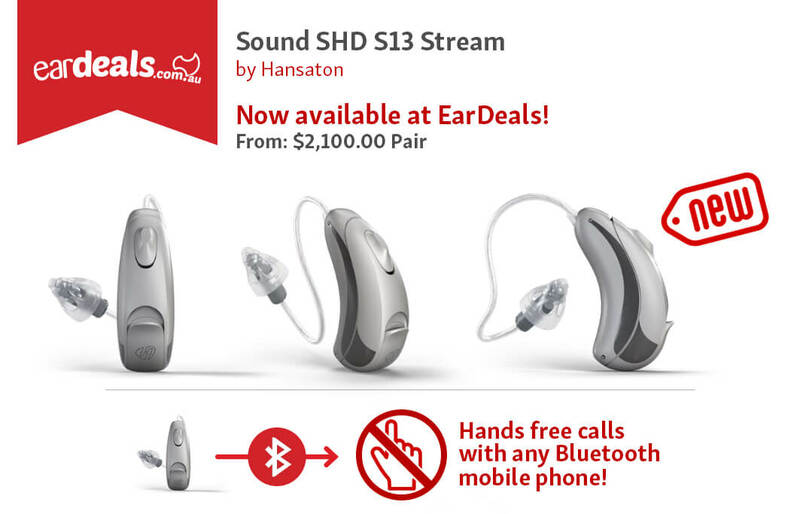 The Sound SHD S13 Stream hearing aid, now boasts Hansaton’s first ever Bluetooth connected hearing aid. The Sound SHD S13 Stream connects via a powerful 2.4 GHz Bluetooth signal to any smartphone with the Bluetooth feature. Now wearers can stream phone calls via a push button on the back of the hearing aid which both accepts and rejects incoming calls wirelessly as they ring through the hearing aid. Your mobile phone can now stay in your pocket or bag and is not required during calls. Video calls are also possible with the Sound SHD S13 Stream and work just like any video calls you have taken in the past. Simply make the call with the video selection on your mobile phone or accept an incoming facetime call. Through the additional purchased of the Hansaton TV adapter accessory (prices below) the Sound SHD S13 Stream hearing aid, can connect wirelessly to your smart TV and play all your favourite shows and movies through your hearing aids. You no longer need to worry about family members telling you to turn down the TV as you listen in your own controlled environment through your wirelessly connected Sound SHD S13 Stream hearing aids! The plug and forget Hansaton TV adapter is easily programmed and demonstrated in your EarDeals clinic by your hearing specialist. Through wireless streaming, the Sound SHD S13 Stream will connect to all Bluetooth enabled MP3 players and your smartphone audio apps to link your hearing aids to your favourite music playlists and albums. This is an exciting new product advancement from a world leading manufacturer driven by both the exploding Bluetooth hearing aid market and consumer-driven demand for digital hearing communication and entertainment. The new Hansaton Sound SHD S13 also supports binaural hearing intelligence. This feature provides a better hearing experience that is both personal and natural. The outcome is precise language, sound localisation and optimisation functions controlled and managed by your hearing specialist. This advancement of the new Hansaton Sound, SHD S13 Stream hearing aid, means the programmable technology within the device is not sacrificed to support Bluetooth technology. Therefore the hearing aid will perform at its optimal best in all noisy environments in the same way that previous models have and is a very competitive alternative to many of the worlds global leaders! The Sound SHD S13 Stream is available in four technology levels. Hansaton is based in Hamburg Germany and was founded in 1957. The company has been a part of the world leading manufacturer group Sonova since 2015. Within the global hearing aid industry, Hansaton aims for class-leading innovation in hearing aid technologies and award-winning hearing aid product designs. The Hansaton brand is globally available and supported in more than 70 countries.